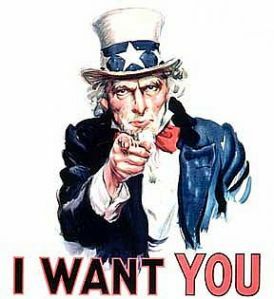 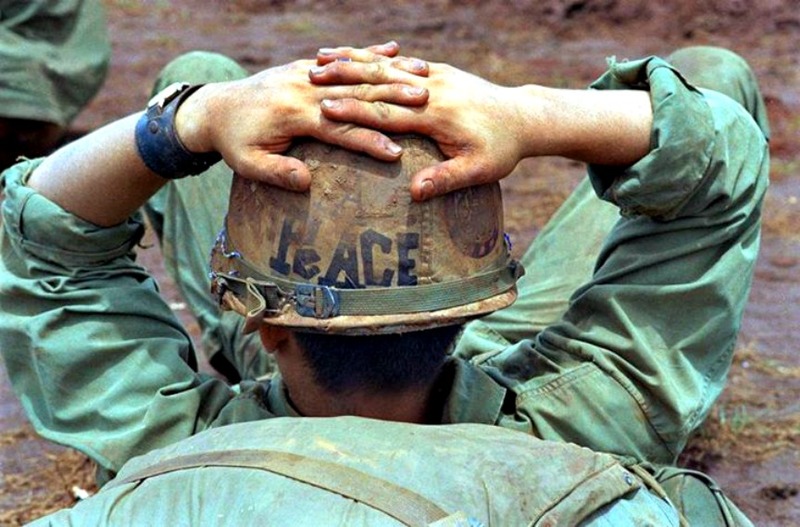 When I arrived in Vietnam in March of 1970, one of the first things ‘Uncle Sam’ issued to me was a steel pot; the military called it the M-1 helmet. 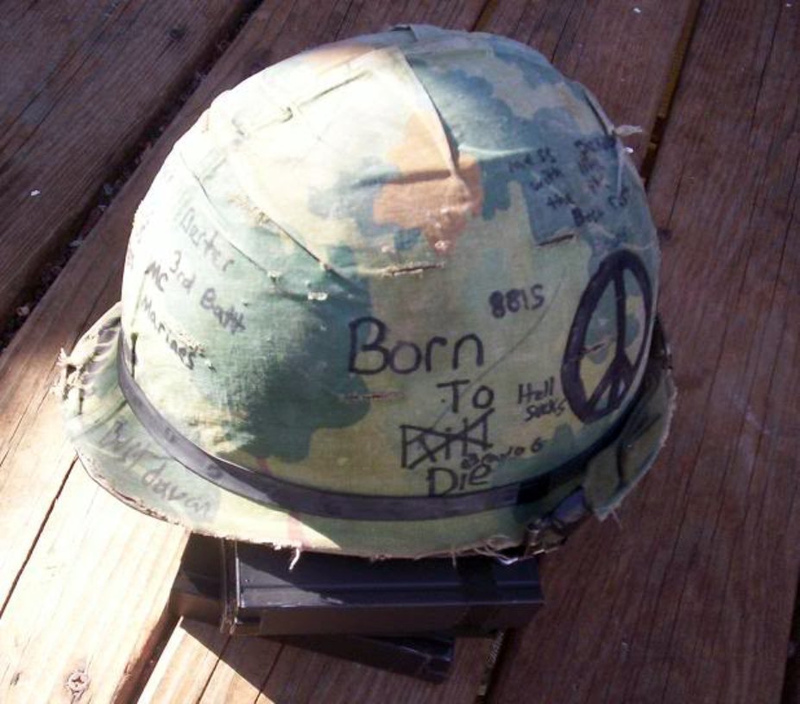 It felt like it weighed half a ton when you first put it on your newly shaved (basic training) head. 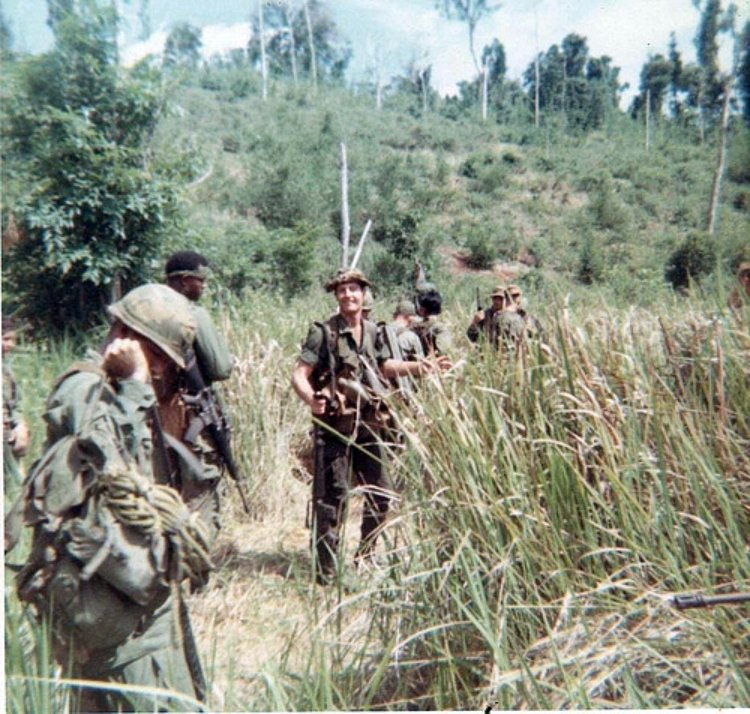 A short time later, I traded it for a much lighter and more fashionable boonie hat. 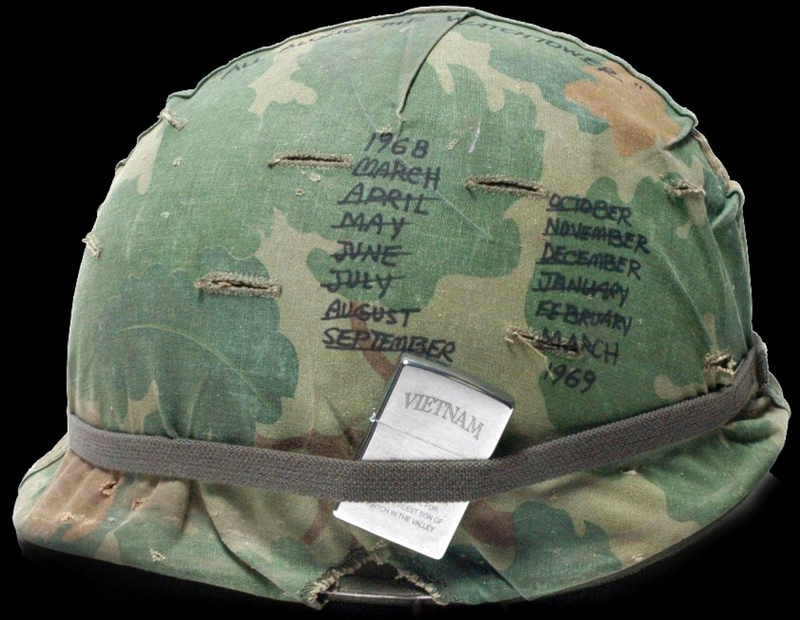 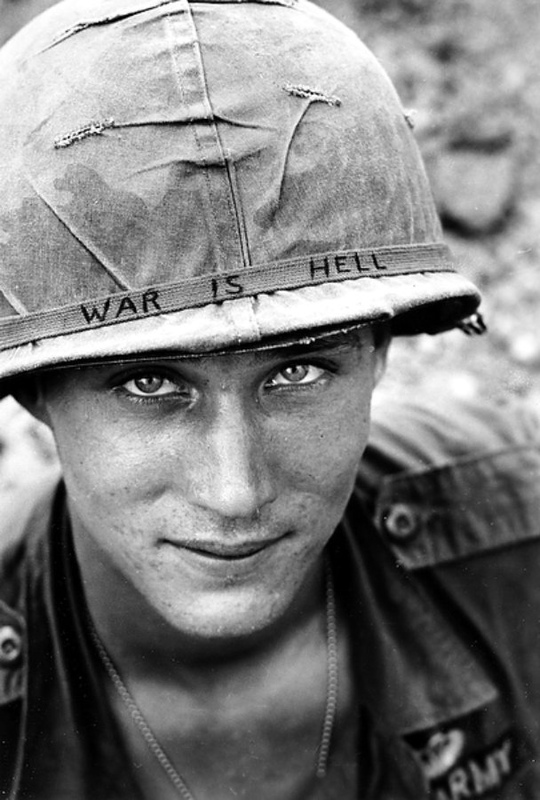 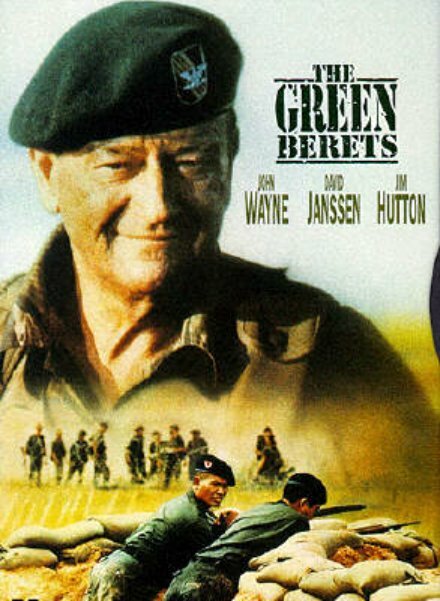 Prior to the Vietnam War, what was most commonly seen on helmets were rank insignia and unit designations. 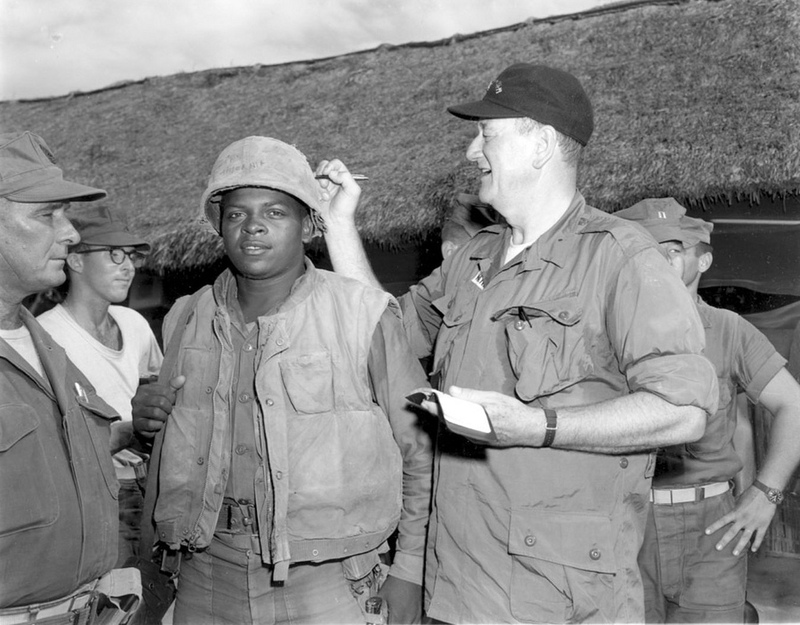 John Wayne signed helmets during his visit to the 7th Marines at Chu Lai in June of 1966 (SSG Fleetwood/Marine Corps/National Archives). 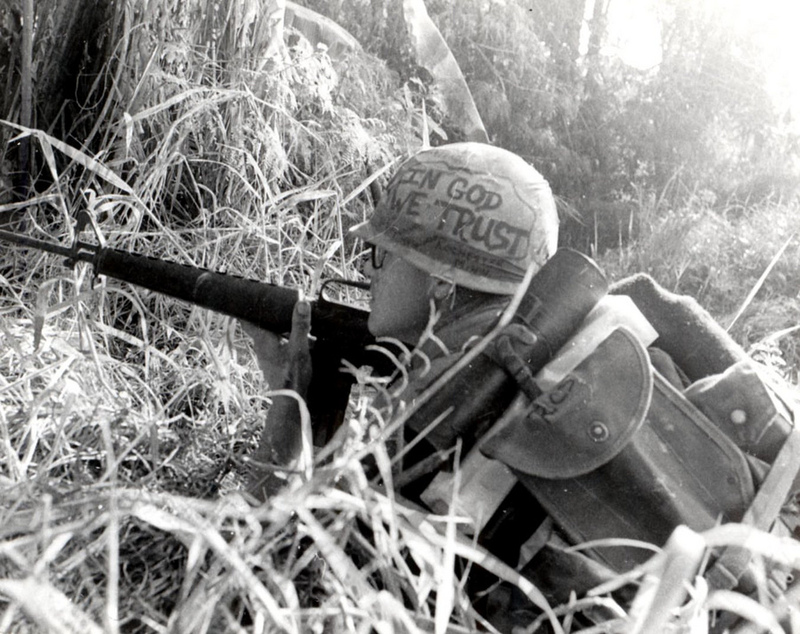 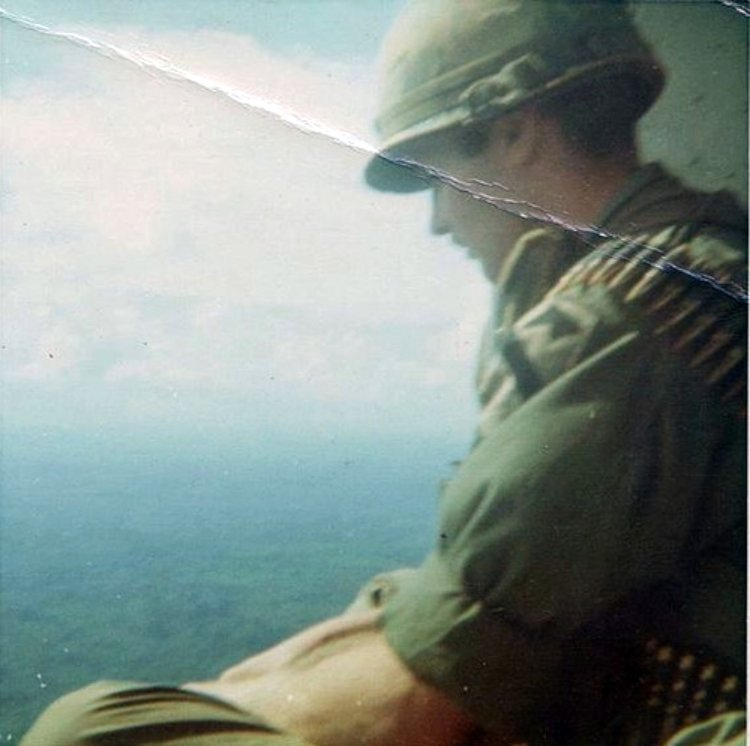 During Operation Ashburn, south of Da Nang in Decmber 1967, a member of the 5th Marine Regiment scans the jungle for signs of enemy activity (Sgt. 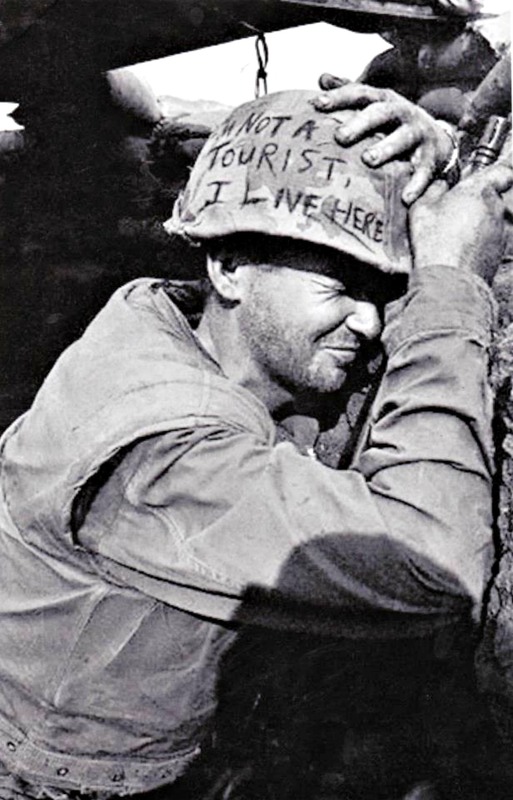 Dickman/Marine Corps/National Archives). 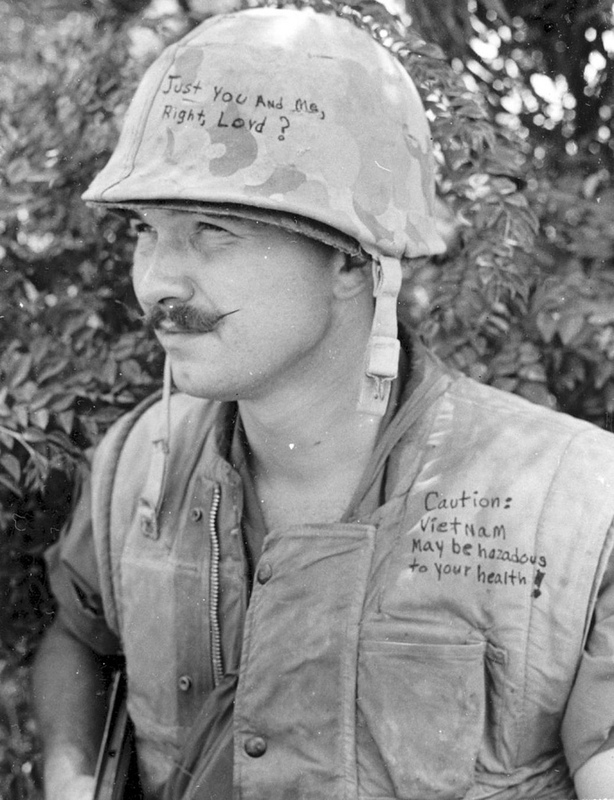 A member of the 3rd Marines decorated both his helmet and his flack jacket (GYSGT Gus Apsitis/Marine Corps/National Archives). 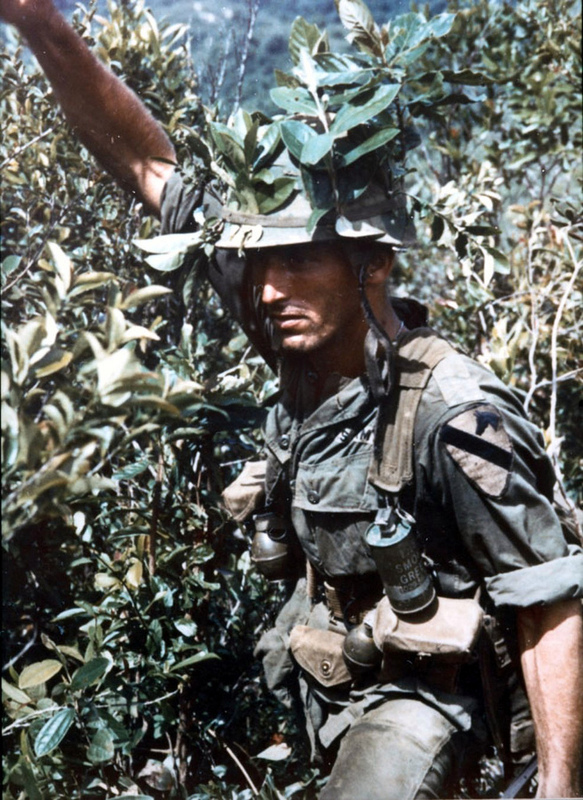 A squadron leader’s camouflaged helmet helps him blend in with his surroundings during a mission in 1966 (U.S. Army/National Archives).